Give your business an impressive business address in Albany with this tailored virtual office package. Located in downtown Albany, this virtual office provides fully-equipped conference rooms with professional on-site service. Whether you choose a basic mailing address or a complete live receptionist plan, this virtual office provides excellent support for growing businesses in Albany. 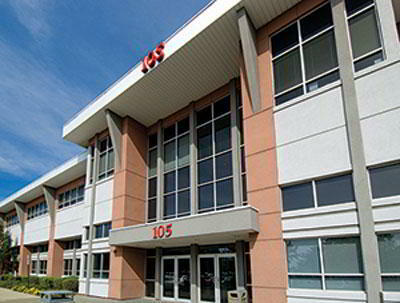 This Melville virtual office in Long Island, NY, occupies a strategic location close to exit 49 of the 495 Long Island Expressway. Virtual offices at the Melville Corporate Center provide a prominent business address with live call answering and mail services. Conference room rental is available on-demand in beautifully finished meeting rooms with high speed Internet, day offices and reception services. 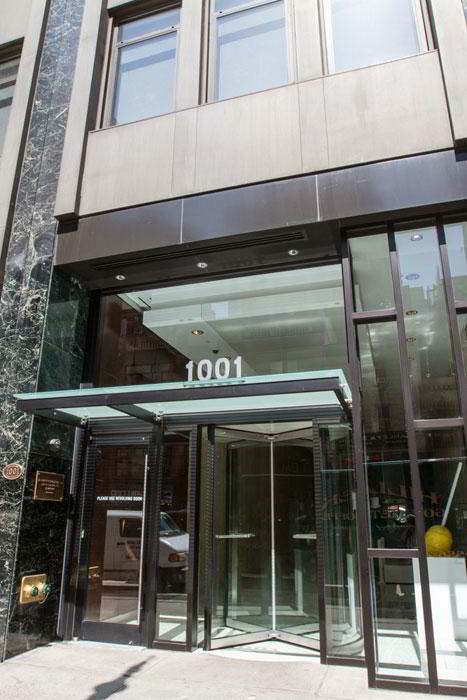 Impress your clients with this prestigious business address on Evergreen in New York City. Get access to friendly Live Receptionists to ensure your clients are taken care of and you never miss that important call. Our virtual office plans come complete with a local phone number, VoIP system, and efficient mail handling and forwarding services. Virtual office clients also have access to our professional on-site staff, fully-equipped offices, accommodating conference rooms, and more. 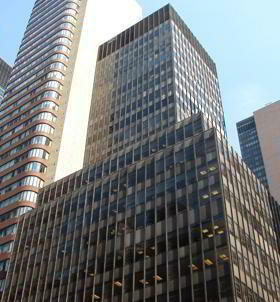 Looking for a recognizable business address in New York City? Our virtual office comes complete with a local phone number with call forwarding services, access to Live Receptionists, and high-speed internet to increase your company’s productivity. Virtual office clients also have access to great networking opportunities, spacious conference rooms, fully equipped offices, all while being directly in the heart of the electrifying Financial District. 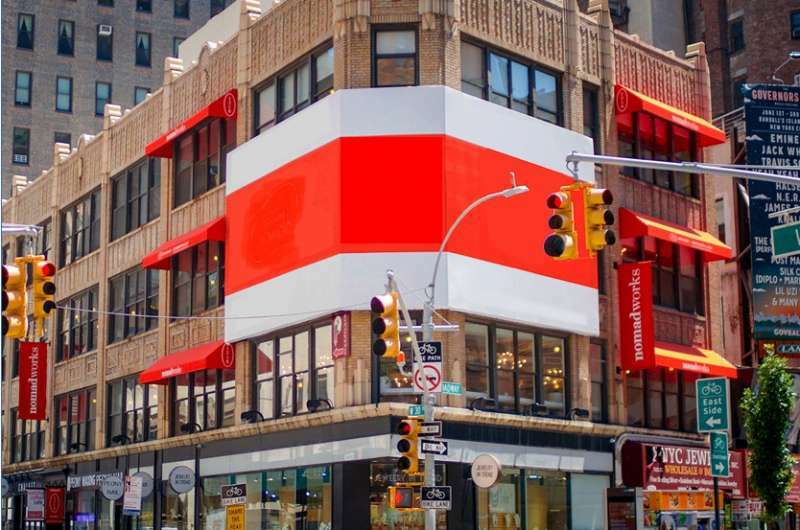 Inspire your clients with this one-of-a-kind 38th Street business address in New York City. Get access to friendly Live Receptionists and professional secretarial services to ensure your clients are taken care of. Our New York virtual office comes complete with a local phone number and efficient mail forwarding services. Virtual office clients also have access to friendly staff, meeting rooms, private offices, on-site tech support, and more. 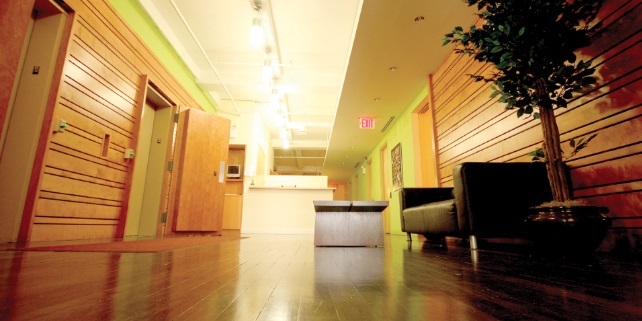 Our amazing workspace on Lexington Avenue in Manhattan is guaranteed to set your company apart from the crowd. 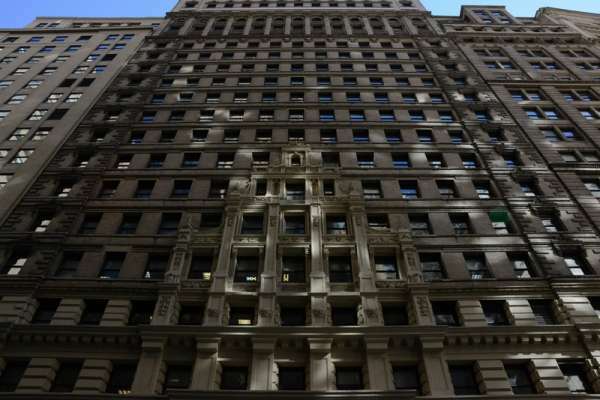 Just one block from the Grand Central Terminal, clients can also enjoy amenities including a local phone number with call forwarding services, access to professional Live Receptionists, and conference rooms to impress your clients. Thanks to a leading workspace operator, clients also have access to inspiring conference rooms, fully-equipped offices, and more. 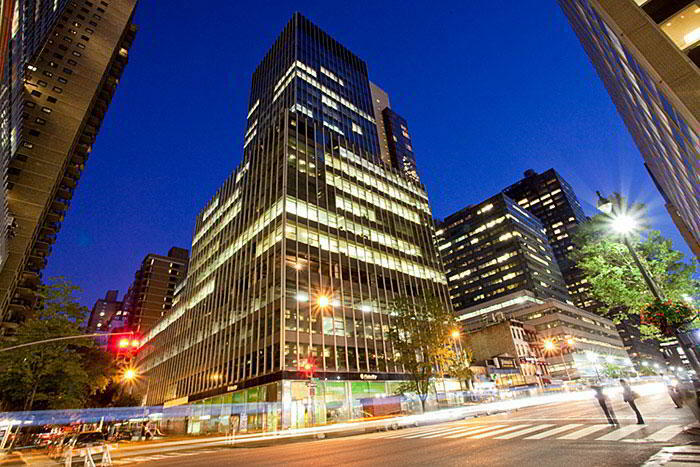 Looking for a recognizable business address in New York City? Our Fifth Avenue virtual office comes complete with a local phone number with call forwarding services, access to Live Receptionists, and coworking spaces to increase your company’s productivity. Virtual office clients will have the opportunity to network with the nation’s most like-minded entrepreneurs and have access to spacious conference rooms, private offices, and more. 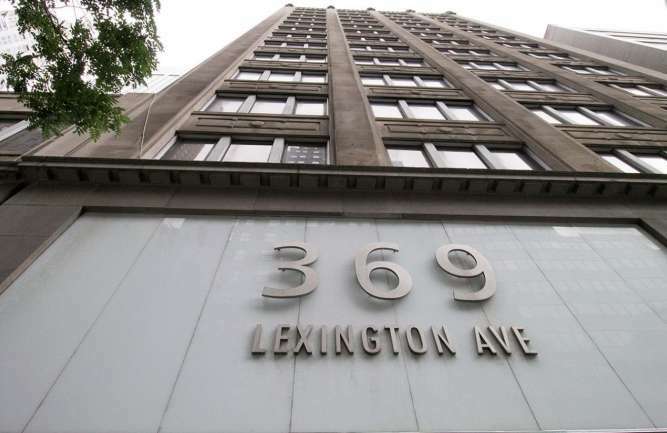 Make a lasting impression with this notable New York City business address. 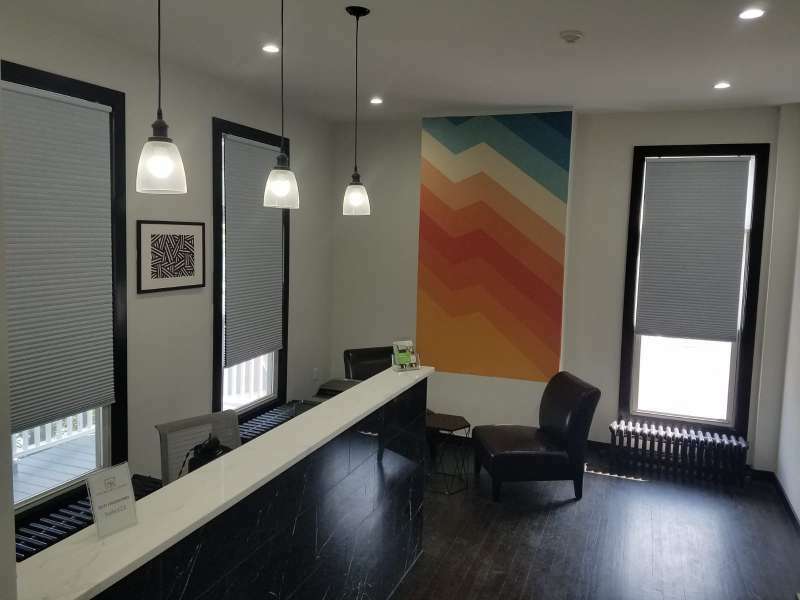 Located in the city’s vibrant Chelsea neighborhood, our center offers efficiencies including convenient mail handling and forwarding, collaborative coworking spaces, and professional call answering support. Get a local New York City number and let our friendly Live Receptionists ensure you never miss that important call. Give your business the competitive edge needed to stand out! 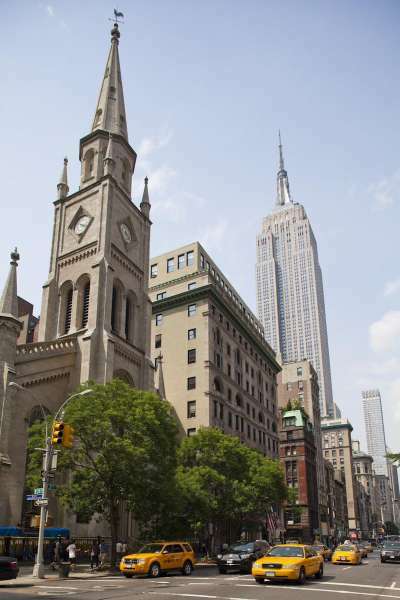 Impress clients with a prestigious Broadway address along Silicon Alley. Located in New York City, our workspace offers forwarding services and Live Receptionist call answering support. Thanks to this leading workspace operator, your business will stand out with numerous amenities such as access to on- site conference rooms, private offices, staffed reception and high speed internet access in the heart of the city’s startup scene. Looking for a business address in New York City? 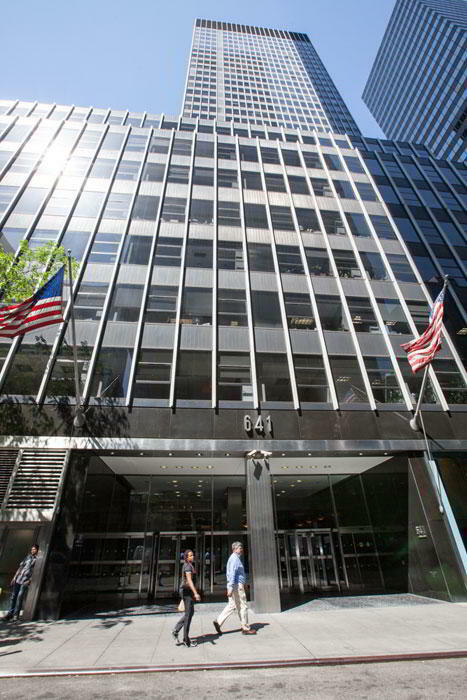 Our East 43rd Street location is both eye-catching and beneficial to your company! This business center offers numerous amenities including convenient mail forwarding, professional secretarial services and is surrounded by plenty of entertainment. Impress your clients with access to comfortable on-site meeting spaces, high speed internet access, and more. 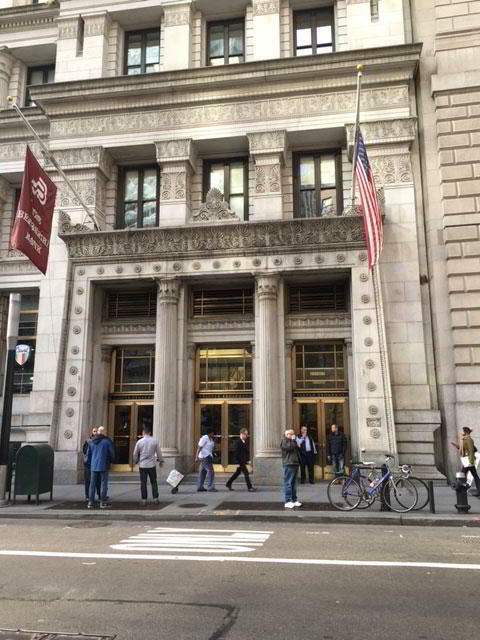 Looking for a recognizable business address in New York City’s Financial District? Our virtual office plans include a local phone number with call forwarding services, access to Live Receptionists, and high-speed internet to increase your company’s productivity. Virtual office clients also have access to great networking opportunities, spacious conference rooms, fully equipped offices, all while being directly in the heart of the city that never sleeps. 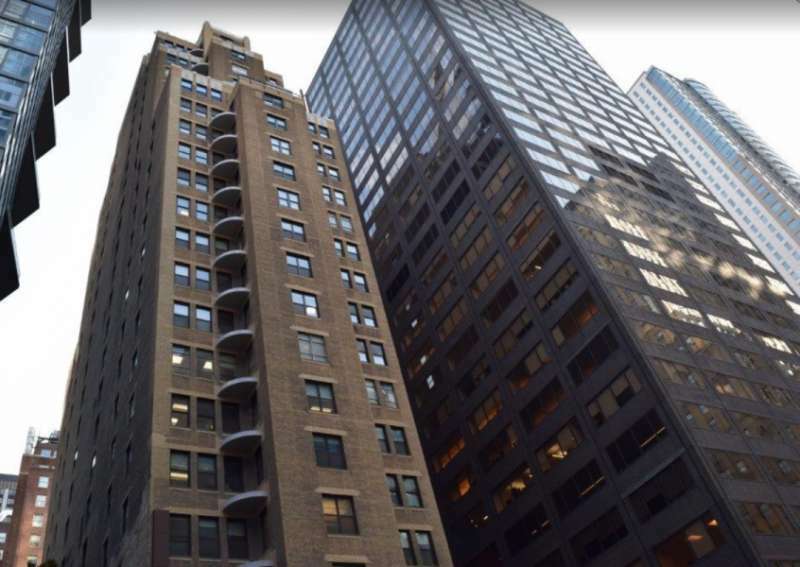 Impress your clients with this prestigious business address on 48th Street in New York City. Get access to friendly Live Receptionists to ensure your clients are taken care of and you never miss that important call. Our virtual office plans come complete with a local phone number, VoIP system, and efficient mail handling and forwarding services. Virtual office clients also have access to our professional on-site staff, fully-equipped offices, accommodating conference rooms, and more. 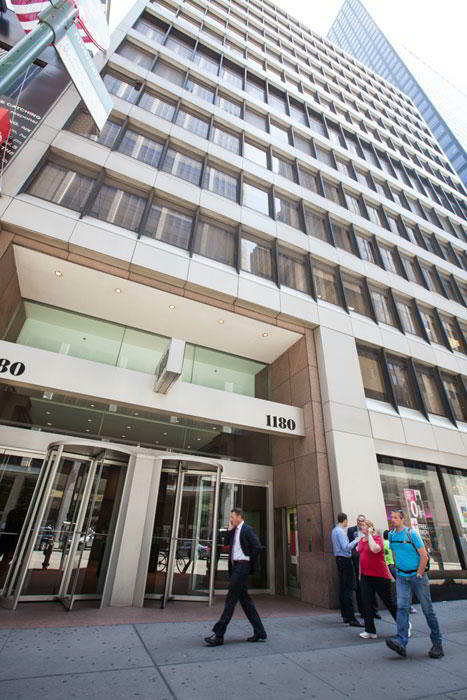 Looking for a recognizable business address in New York City? Our prestigious Wall Street virtual office plans include a local phone number with call forwarding services, access to Live Receptionists, and high- speed internet to increase your company’s productivity. Virtual office clients also have access to great networking opportunities in our spacious conference rooms and fully equipped offices, all while being in the heart of the city’s most bustling district. Make a lasting impression with this notable Times Square business address on your website. ocated in the heart of Times Square in New York City, this center offers efficiencies including convenient mail handling and forwarding, as well as professional call answering support. Get a local Manhattan number and let our friendly Live Receptionists ensure you never miss that important call. Give your business the competitive edge needed to stand out. A Manhattan business address on Broadway in New York City will set your company apart from the rest. Virtual office clients will have access to professional Live Receptionists, a credible call forwarding system, and a local phone number complete with a VoIP system. Get access to our friendly on-site staff, inspiring office space, accommodating conference rooms, and more. 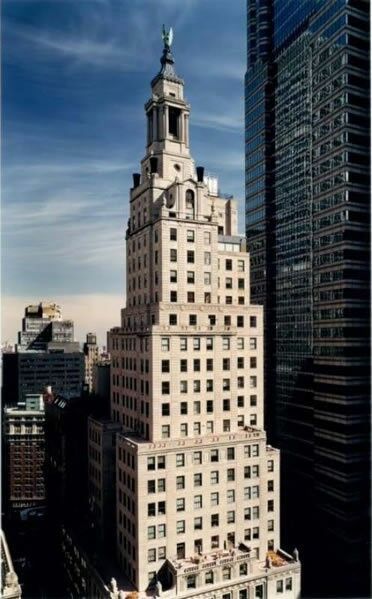 Impress your clients with this prestigious business address on Madison Avenue in New York City. Get access to friendly Live Receptionists to ensure your clients are taken care of and you never miss that important call. Our virtual office plans come complete with a local phone number, VoIP system, and efficient mail handling and forwarding services. Virtual office clients also have access to our professional on-site staff, fully-equipped offices, accommodating conference rooms, and more. Looking for a business address in New York City? 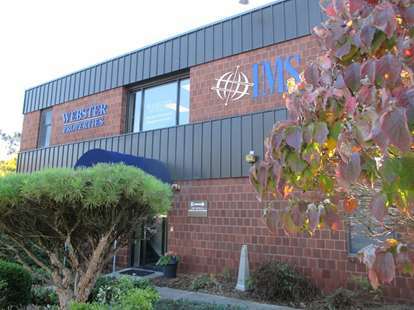 Our 34th Street location is both eye-catching and beneficial to your company! This business center offers numerous amenities including convenient mail forwarding, professional secretarial services and is surrounded by plenty of entertainment. Impress your clients with access to comfortable on-site meeting spaces, high speed internet access, and more. 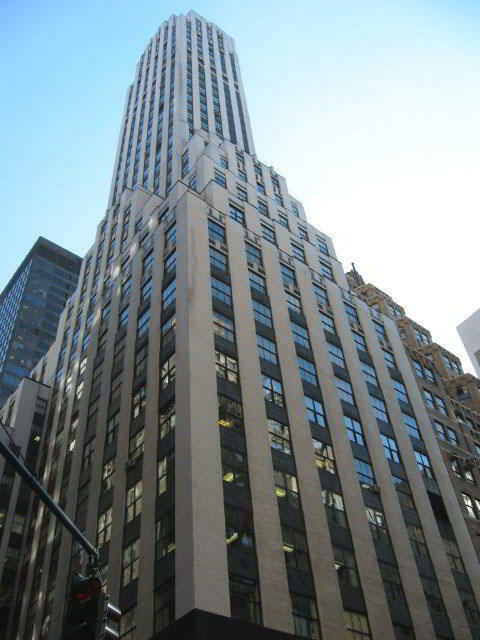 Situated on Fifth Avenue just steps from the Empire State Building, this business address in New York City is all about the Within walking distance of Grand Central, Penn, Port Authority and Times Square Stations, this virtual office in Midtown Manhattan is perfect for client meetings. In addition to on-site conference rooms, this virtual office can provide mail forwarding, live call answering, video conferencing and many other business services. 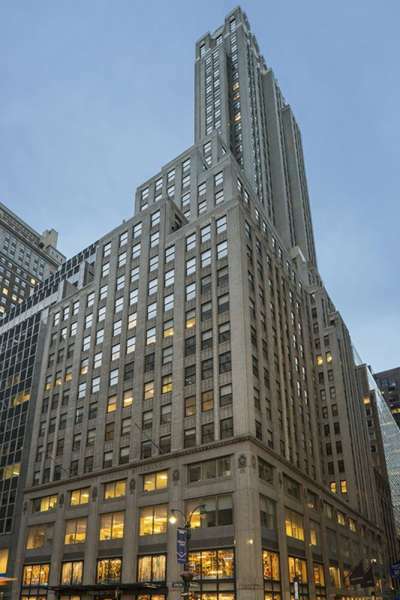 This prestigious Midtown Manhattan business address is both eye-catching and guaranteed to make a great first impression on clients. Located in the heart of New York City, this center offers efficiencies including our friendly Live Receptionists and professional secretarial services. Make your business stand out with reliable mail forwarding and dependable call answering services to make sure you never miss that important call. This Park Avenue virtual office is the perfect New York virtual office. The location offers a selection of virtual assistant services at a nice price. 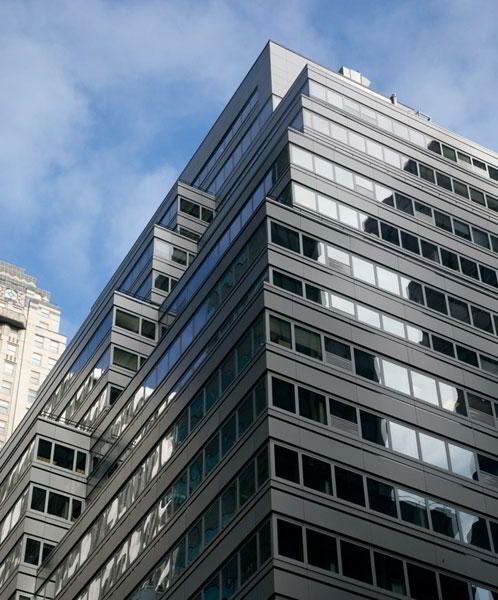 For more information about this New York virtual office, call us now. Operated by a leading independent provider of flexible office space, this virtual office in New York City is perfect for legal professionals. 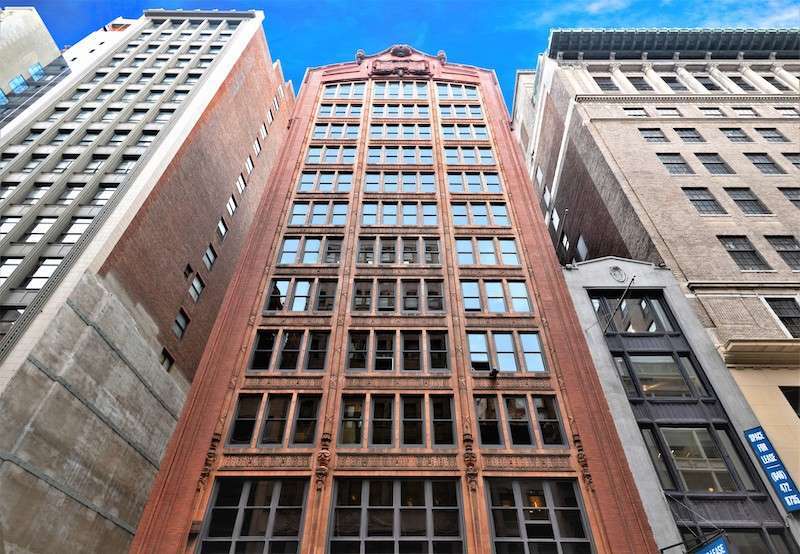 Boasting a sought-after business address on Broadway in New York's Financial District, this location is close to major courthouses and public transportation links. Virtual office services include frequent mail forwarding, a prime business address and optional professional live receptionist services. Our motivational Third Avenue business address in New York City is the best option for any thriving business. Both eye-catching and a hub for productivity, this center also offers efficiencies such as mail forwarding services and Live Receptionist call answering support. Impress your clients and colleagues with spacious meeting rooms, day offices, and networking events in the heart of the city. 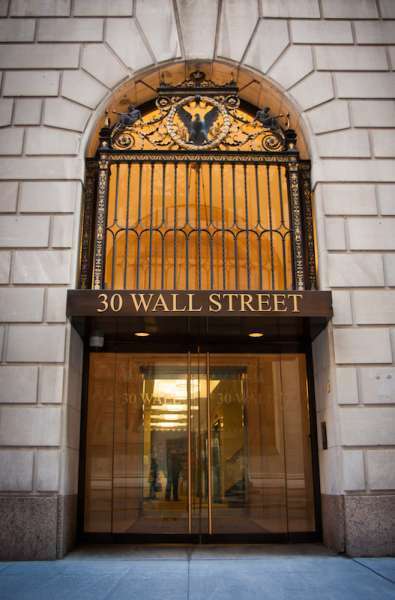 Impress clients with a prestigious Wall Street business address. Located in the heart of Lower Manhattan in New York City, our center offers forwarding services and Live Receptionist call answering support. Thanks to this leading workspace operator, your business will stand out with numerous amenities such as access to on-site conference rooms, private offices, coworking spaces, staffed reception and high speed internet access. With a prominent business address on Avenue of the Americas, this virtual office in New York City offers a first-rate location. 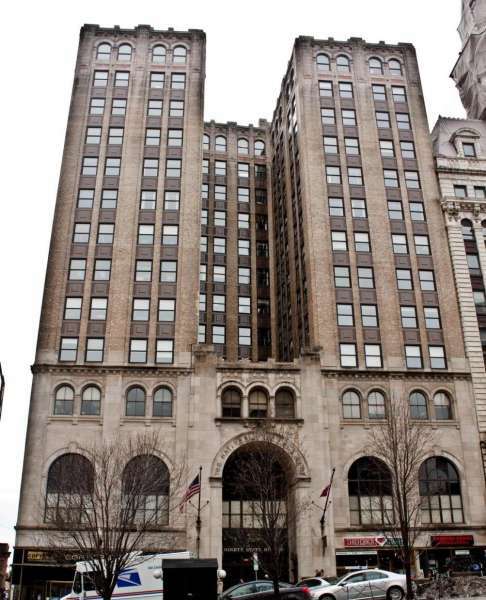 It's easily accessible from major transportation hubs including Penn Station, Port Authority and Grand Central - perfect for on-site client meetings. Work remotely the rest of the time and benefit from frequent mail forwarding and professional live receptionist services. A business address in New York is guaranteed to set your company apart from the rest of the competition. Thanks to a leading operator of business centers, our virtual office clients have access to professional Live Receptionists, a credible call forwarding system, and a personalized phone number. Get access to our state-of-the-art amenities, dozens of offices, fully-equipped meeting rooms, great networking opportunities, and more. 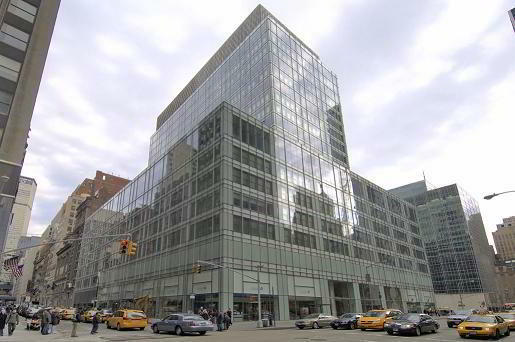 Grab an enviable New York City business address with this superb virtual office on Third Avenue. 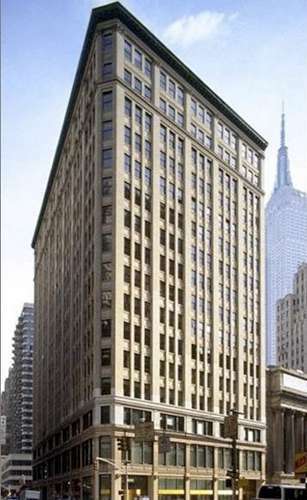 As a growing business, benefit from a fantastic location in Midtown just two blocks from Grand Central Terminal. Virtual clients enjoy remote office services including mail forwarding services and on-demand access to professional conference rooms. 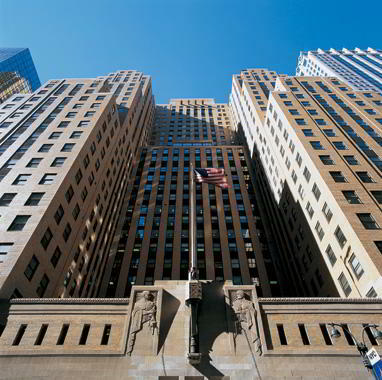 Be the envy of your competitors with this upmarket business address in New York in the iconic Graybar Building. Based on Lexington Avenue, this New York virtual office delivers excellent first impressions and an eye-catching location for your business card. Remote services include mail forwarding and live call answering, along with on-demand access to on-site conference rooms and day offices. 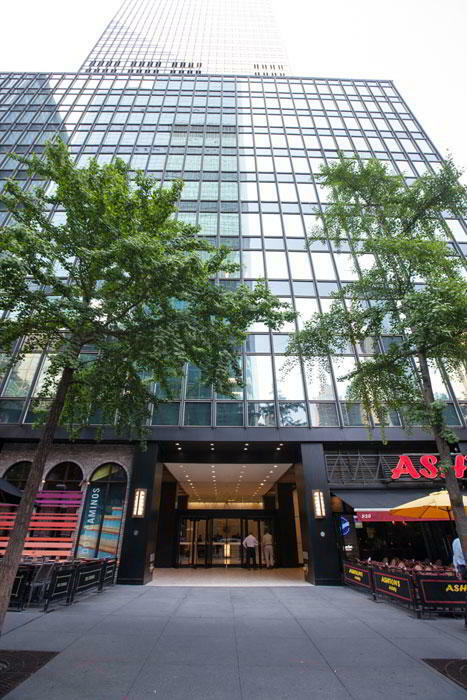 Your business deserves the best, so give it an eye-catching business address in New York City on Avenue of the Americas. 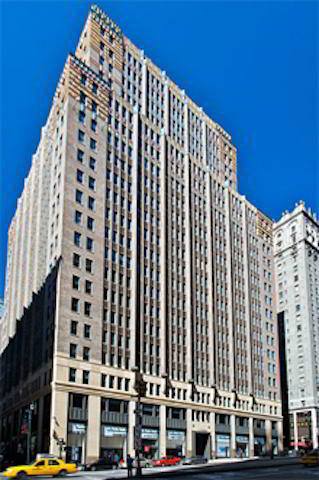 This top of the range Plaza District virtual office combines a stunning location in Midtown Manhattan with efficient mail forwarding services. Anytime you need a place to work or meet, enjoy on-demand access to fully equipped conference rooms and day offices in New York City. Benefit from a prime New York business address with this fantastic virtual office on 3rd Avenue, just moments from Grand Central Station. Managed by a leading operator of virtual offices in New York City, take advantage of professional services to help your business flourish. In addition to mail forwarding and live receptionist services, clients also enjoy easy access on-site conference rooms and hot desks. 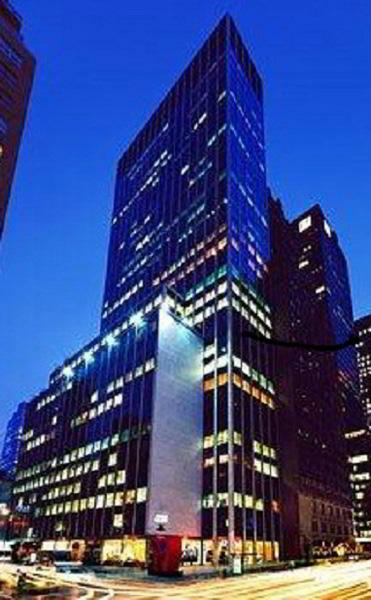 This New York virtual office is an excellent and convenient office located at Avenue of the Americas. It offers a range of low cost office services including short term office use and meeting rooms. For more information about this New York virtual office, call us now. 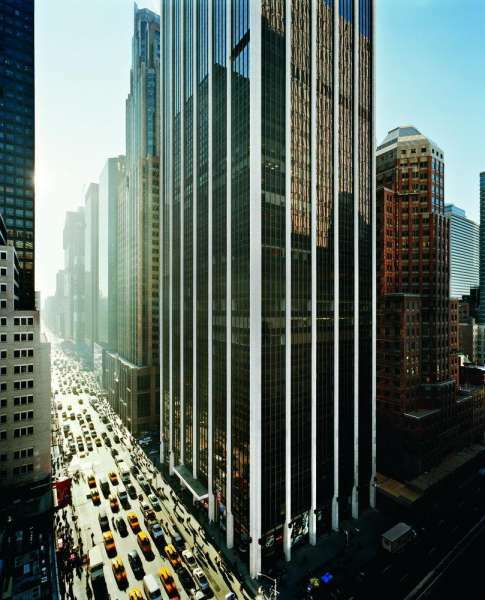 This New York virtual office provides a prestigious business address in the heart of the Central Business District, east of Midtown Manhattan. Surrounded by corporate headquarters and renowned landmarks, this superb virtual office and meeting point never fails to impress. When working remotely, benefit from live receptionist services, mail handling and forwarding, and a local phone number. 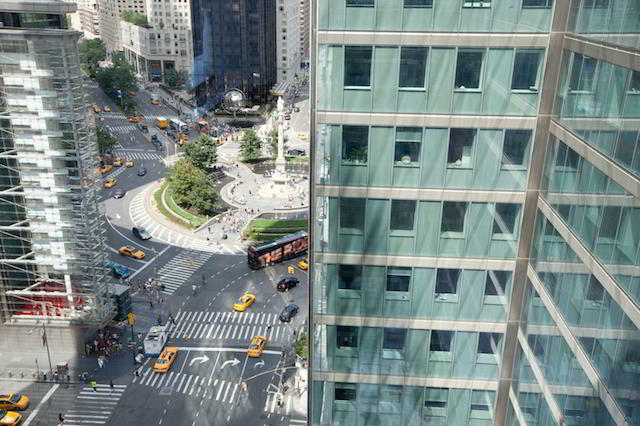 Impress your clients with a fantastic business address at Columbus Circle thanks to this prestigious virtual office in New York. Set within a redeveloped Class A building, this center makes ideal first impressions for meetings with clients and corporate VIPs. In addition to a world-class business address, virtual clients benefit from remote office services including mail forwarding and phone services. 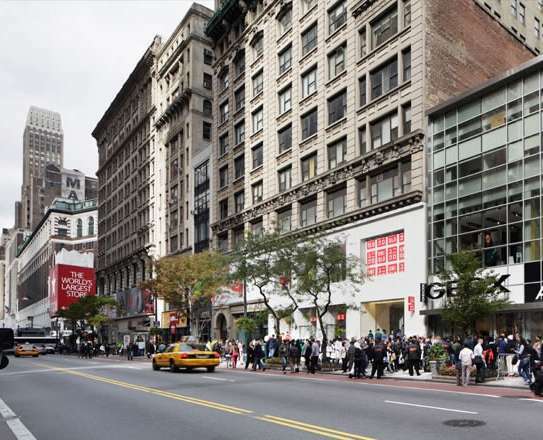 This location is a great choice for a virtual office in New York. This location will provide the support you need to help your business grow, including clerical services and receptionist services. Call us now for more information about this virtual office in New York. This location could be a great selection for a virtual office in New York. This location will provide the support you need to help your business grow, including receptionist services and on-demand conference rooms. For more information about this New York virtual office, call us now. 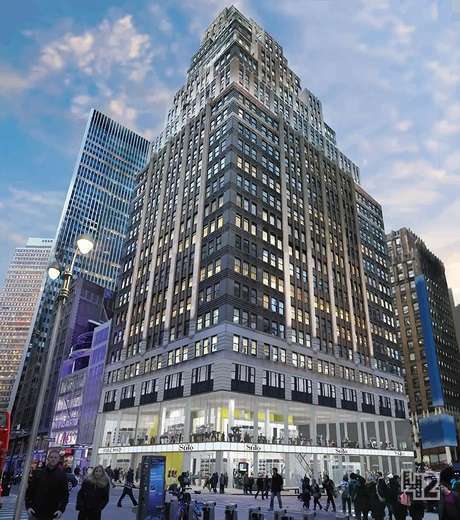 This New York virtual office solution offers a good business address. The location offers a selection of virtual receptionists services at a nice price. For more information about this New York virtual office, call us now. 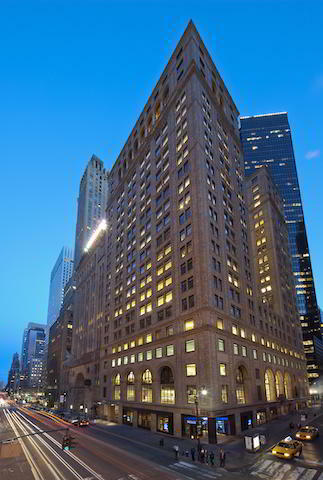 Impress your clients with a distinguished New York City business address on Park Avenue, directly across from Grand Central Terminal. First-class virtual office services come in the form of mail forwarding, market-leading phone services, live call answering, and more. Best of all, hold meetings at this superb building and impress corporate guests with a beautifully presented conference room. 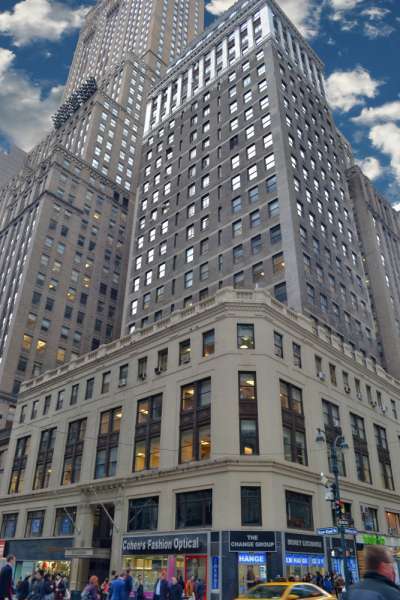 This New York virtual office is located in the Grand Central Business District, just minutes from Madison Avenue and Saks Fifth Avenue. 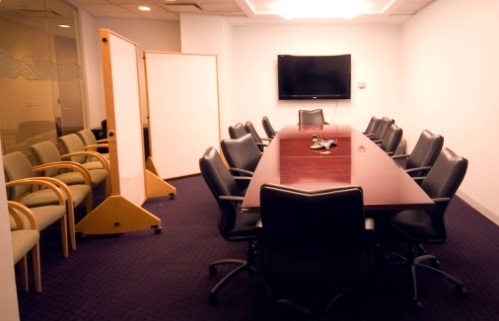 Choose from three conference rooms for up to 12 guests with the latest videoconferencing equipment and LCD projection. A perfect business address for businesses of all types, including financial and banking, real estate, legal, and healthcare. 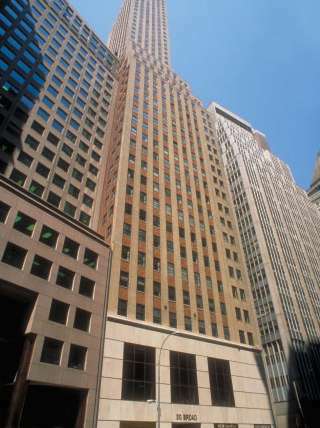 This fantastic New York virtual office boasts a recognizable business address on Madison Avenue in central Manhattan. Beautifully finished meeting rooms are available on-demand with high-speed Internet and conferencing facilities. Impress your corporate guests with a marble entry lobby, a beautifully appointed reception area and professional greeting. What's the most cost-efficient way to claim your piece of New York real estate? 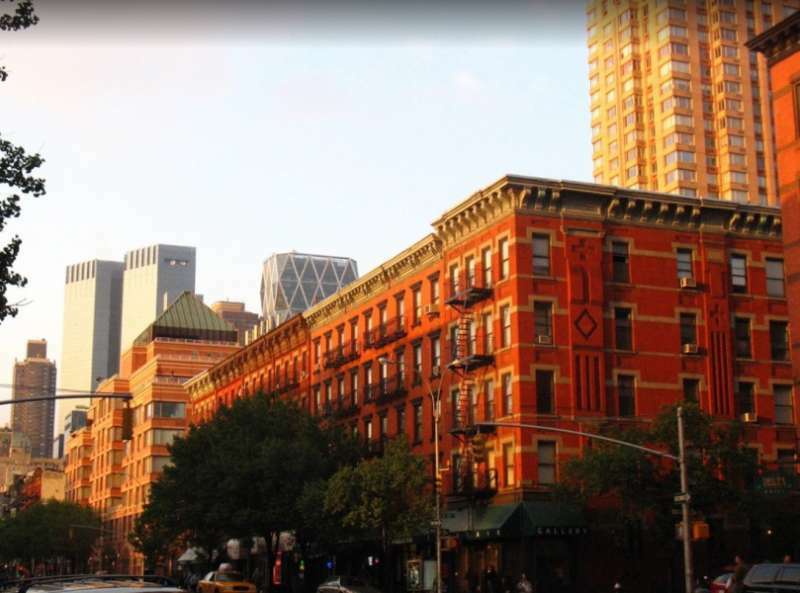 By utilizing a New York virtual office! 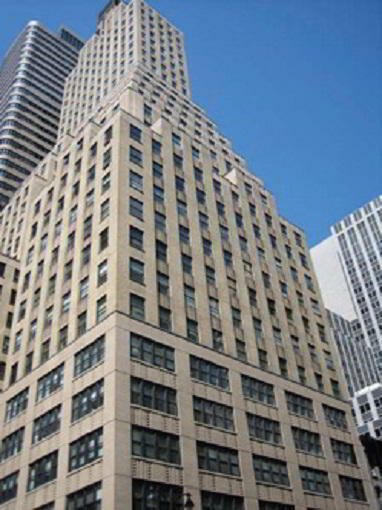 This midtown Manhattan virtual office location offers small and home-based firms a prime business address with excellent services. 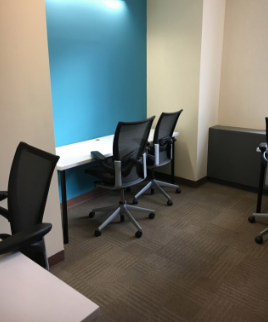 You get live receptionist services, mail receipt, on-demand meeting room rental, and more - all for a fraction of the price of a full-time office. 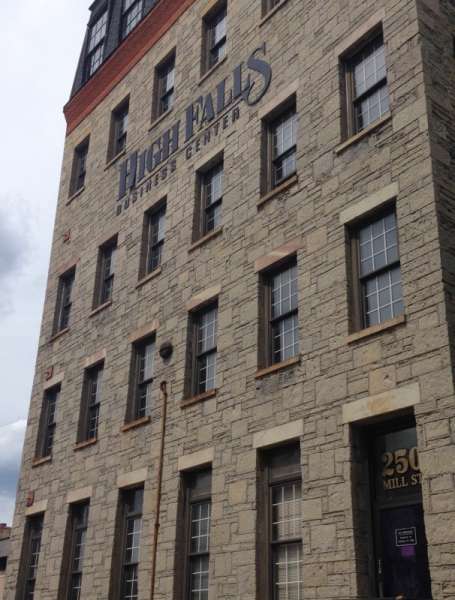 Get a great business address in downtown Rochester at Mill St, in the heart of the city. 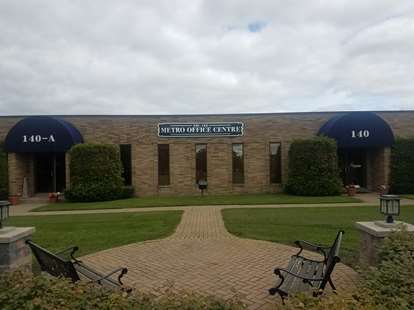 Located just off the I-490, Inner Loop and W Broad Street, this Rochester virtual office has a variety of conference rooms and makes the perfect meeting point. Benefit from live call answering, professional receptionist services, mail forwarding, dedicated local phone number, and more. Within easy reach of Interstates 490 and 390, this virtual office in Rochester is a great place to meet clients or get your team together. When working remotely, benefit from a great business address with mail forwarding, a dedicated local phone number, and live receptionist services. Grow your business with this virtual office in Rochester - a flexible workspace solution with a real business address and access to conference rooms. Services include mail forwarding and live receptionist call answering support, Monday through Friday. Other great features include a local Rochester business phone number and market-leading VoIP technology.